Fundraiser One is our new and latest version of Fundraiser which is going to be released soon. Below are the initial features we releasing for our core release. Further components will be added during the year. This year represents Infosoft's 20th year anniversary so we know the industry well and are not second guessing any functionality with our system. We have simply built a beautiful system that has a rich modern interface and is easy to use. With Fundraiser One you can access it from anywhere on any platform and we are also offering mobile apps that can be downloaded from both Apple's AppStore and Google's PlayStore. 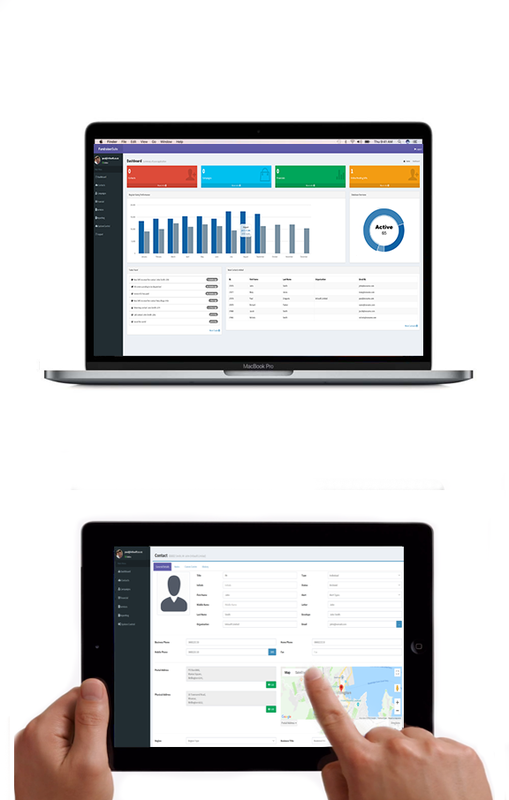 Our goal to design the system to work well on desktop and touch mobile devices. This is a serious leap forward. The CRM system allows you store and organise your contacts with quick graphical representation of your data in our new dashboard. Interest groups are seamlessly automated from our new document management system, this is simply a great system. Our new document management system allows for quick mergeing to print and email without waiting around. Best of all bounce backs are managed by the system. We have updated our segmentation system with new algorithms to now provide predictive donor segments. This is a fantastic tool for all fundraisers and it takes all the guess work out of your direct mail campaigns. We are just getting started – Contact us to have your place when its released. © Copyright Infosoft Limited. All rights reserved.